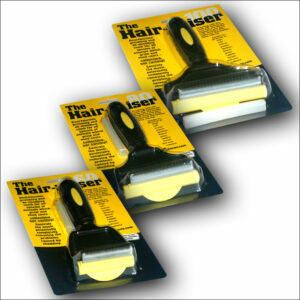 Grooming with a rake from the Hair-raiser Solo© range – which is a range of five different heads – removes the loose hair and dander trapped in your pet’s coat, leaving a clean undercoat and healthy, shiny, topcoat. 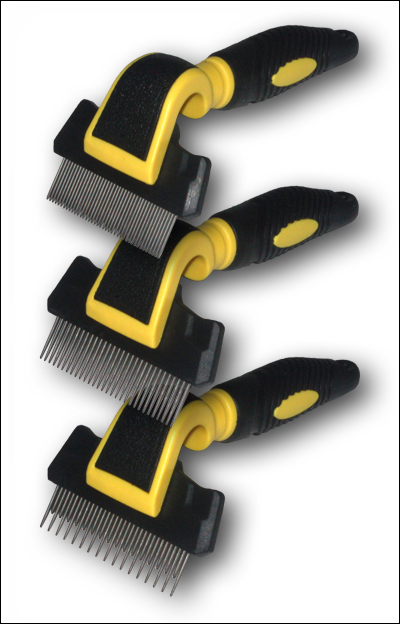 Over the last few years, the original Hair-raiser Duo comb – with its flip-over head that facilitates grooming with both a rake and a fine comb – has proved an incredibly popular product for grooming any animal that sheds its coat. So, for all those people who are convinced they only want a single-sided Hair-raiser we have good news – it’s now available. Welcome to the Hair-raiser Solo! The Hair-raiser Solo takes a different approach to grooming. Where the original Hair-raiser Duo offers the user a permanent ‘flip-over’ choice between two heads, the Hair-raiser Solo has only one head – but it has a choice of NINE different, interchangeable, heads! 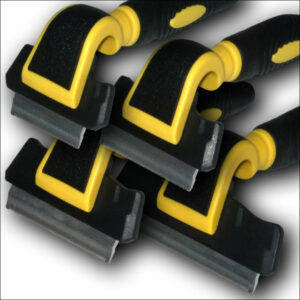 The three closely-set rakes. From the top: 40; 30; 16/17. In use, the Hair-raiser Solo is comprised of two parts; one part is the handle, the other part is the user’s choice of rake head. The two parts clip and lock together (the head can be released and changed for a different head as and when required). This page focusses on the three different rake heads which are available with closely-set teeth. 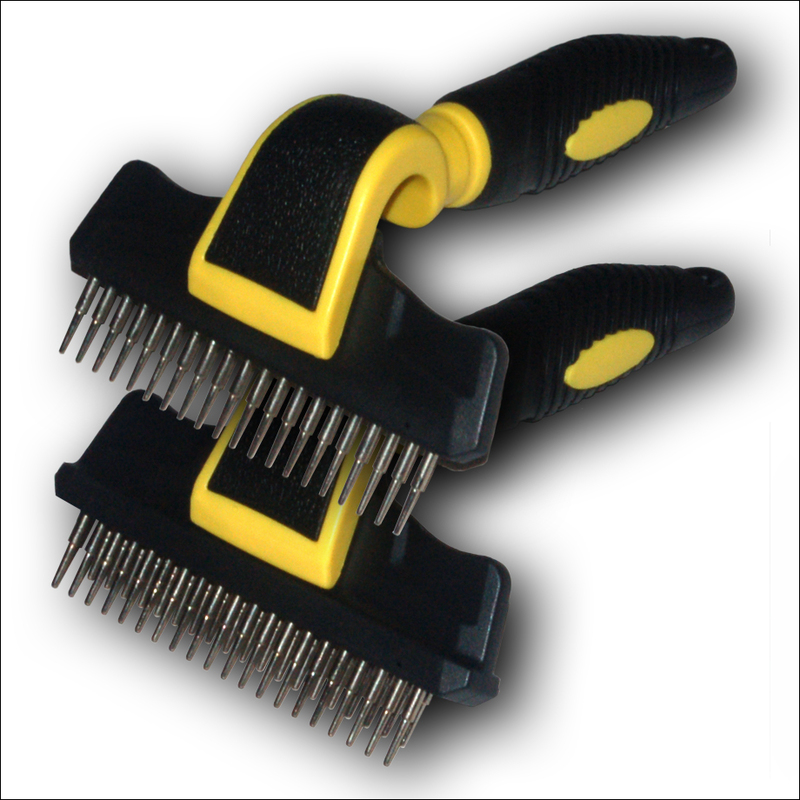 Under normal circumstances, it could be expected that a rake (rather than a comb) would be the tool of choice to address the problems associated with coats which are dense, unkempt, long or extremely curly – or any combination of these attributes. The sets of teeth of theye three rake heads differ from each other in many ways: thickness; length; overall width. Be reassured – there’s a rake which is suitable for every type of long or dense coat. The three different rakes are shown alongside. The ’40’ has a set of teeth which are tightly spaced. the ’30’ and the ’16/17′ have teeth which are more widely spaced – and in the case of the ’16/17′, has teeth which alternate between two different lengths. The user can buy whichever head, or heads, might be needed. In a few moments a head can be clipped into place on the handle – and in another moment removed and replaced by a different head. The two widely-set rakes. The 20 (above) and 19/20 (below). In use, the Hair-raiser Solo is comprised of two parts; one part is the handle, the other part is the user’s choice of rake head. The two parts clip and lock together (the head can be released and changed for a different head as and when required). This page focusses on the two different rakes which are available with widely-set teeth. 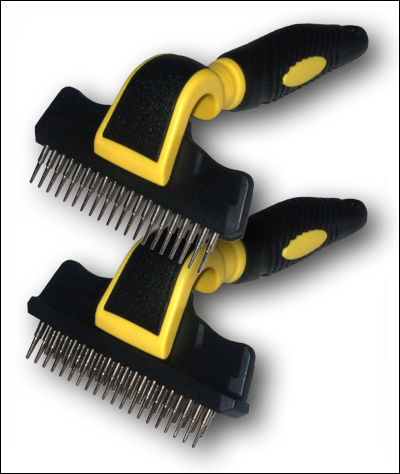 Under normal circumstances, it could be expected that a rake (rather than a comb) would be the tool of choice to address the problems associated with coats which are dense, unkempt, long or extremely curly – or any combination of these attributes. The sets of teeth of the two widely-set rake heads differ from each other in one obvious way: thicknujess; length; numbers of rows; overall width. 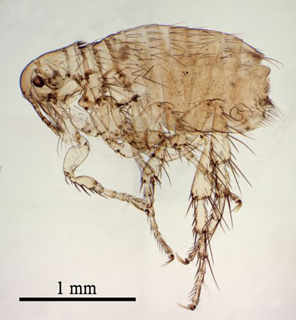 Be reassured – one or other will be suitable for every type of long or dense coat. The five different rakes are shown alongside The teeth of the five different rakes fall into two groups, one group of three, another group of two – as grouped in the photos. Within each of these two sub-groups, the rakes differ in various ways. For example, within the first group, whilst the ’40’ has a set of teeth which are tightly spaced. the ’30’ and the ’16/17′ have teeth which are more widely spaced – and in the case of the ’16/17′, has teeth which alternate between two different lengths. The significant difference between the two rakes which comprise the second group is the number of rows of widely-spaced teeth; the ’20’ has one row of teeth, the 19/20 has two rows of teeth. The user would choose the rake most appropriate to the coat of the animal being groomed. 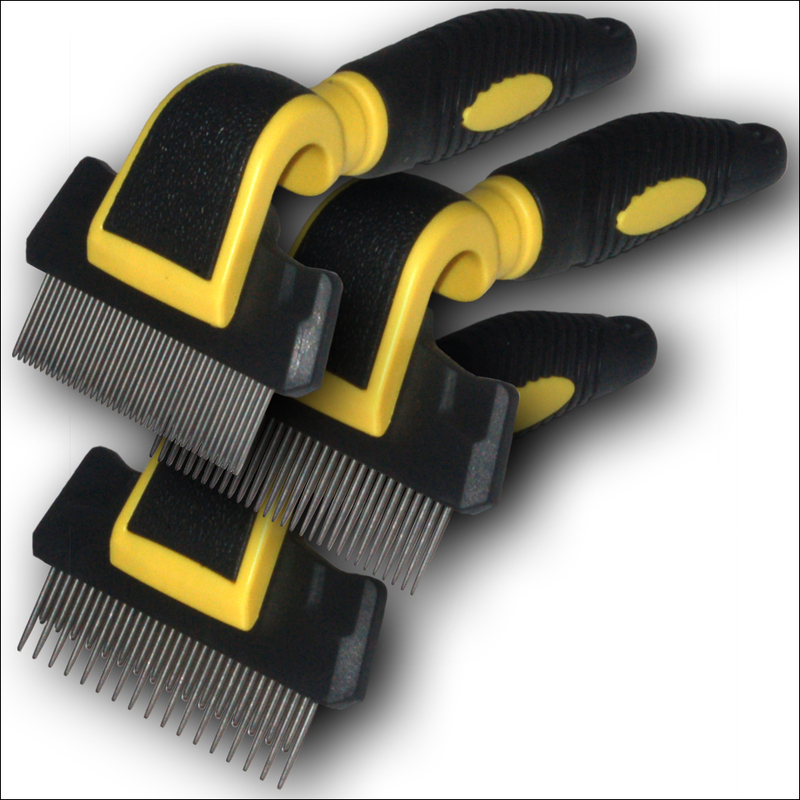 It is recommended that a dog owner has her/his own home-grooming kit. A good kit includes a grooming brush, clippers for dog toenails, dog shampoo, coat conditioner, a coarse rag – and a Hair-raiser rake!